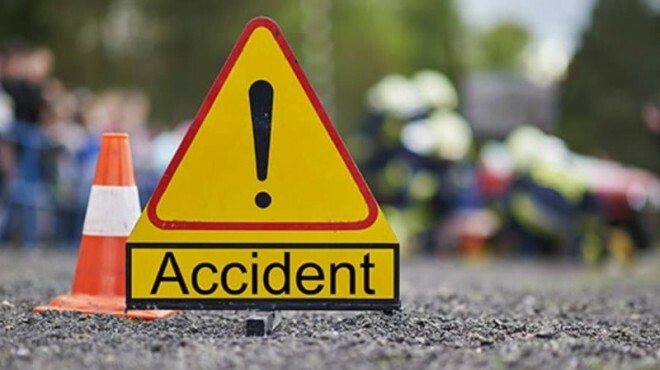 Hyderabad, Feb 15: In a bizarre incident, two people were killed while 10 others injured after the DCM they were travelling in hit by a lorry from the rear on Friday morning at Shamirpet. The accident occurred at Thurkapally village when the DCM driver carrying around 40 is returning from a wedding reception in Gajwel people to Suraram. The departed were identified as E Srinivas from Sangareddy and Raju from Suraram. Commuters informed the police and shifted them to a hospital for treatment. Meanwhile, the police registered a case and arrested the lorry driver M Srinivas and seized the vehicle.